A remarkable technician and a highly influential tenor-saxophonist (the biggest influence on other tenors since Wayne Shorter), Michael Brecker took a long time before much of his career as a top-notch studio player who often appeared backing pop singers, leading some jazz listeners to overlook his very strong improvising skills. 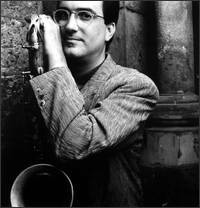 Michael Brecker originally started on clarinet and alto before switching to tenor in high school. Early on he played with rock and R&B-oriented bands. In 1969 he moved to New York and soon joined Dreams, an early fusion group. Brecker was with Horace Silver during 1973-74, gigged with Billy Cobham and then co-led the Brecker Brothers (a commercially successful funk group) with his brother-trumpeter Randy Brecker for most of the 1970s. He was with Steps (later Steps Ahead) in the early '80s, doubled on an EWI (electronic wind instrument) and made a countless number of studio sessions during the 1970s and '80s, popping up practically everywhere (including with James Taylor, Yoko Ono and Paul Simon). With the release of his first album as a leader in 1987 (when he was already 38), Brecker started appearing more often in challenging jazz settings. 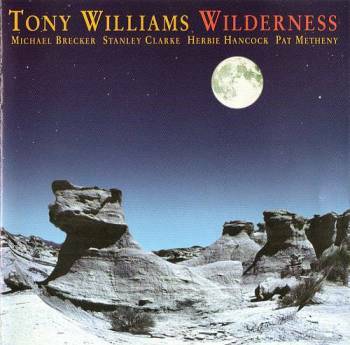 He recorded additional sets as a leader (in 1988 and 1990), teamed up with McCoy Tyner on one of 1995's most rewarding jazz recordings and toured with a reunited BreckerBrothers band. 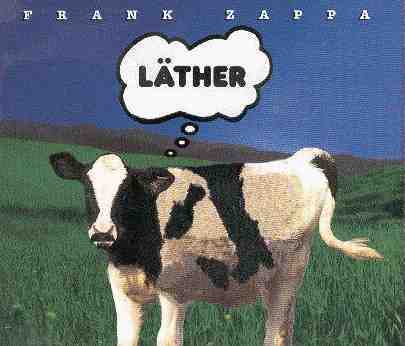 The Brecker Brothers played with Zappa from December 26 to 29 in 1976, at the Palladium, in New York. But not at the Felt Forum shows in October, nor on Saturday Night Live. 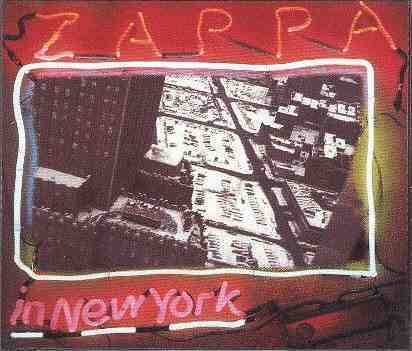 Recordings of the Palladium concerts with Zappa were released on Zappa's "Zappa In New York". The Brecker brothers toured with Billy Cobham in 1975. Michael Brecker was Artist in Residence at the North Sea Jazz festival in 2004. Michael Brecker died of leukemia, January 2007.
fm broadcast: "NPR Jazzset Broadcast"
From: Charles Pater Date: Sat, 23 Oct 1999 Subject: Michael Brecker on Zappa on Dutch Radio4 1999/10/22 radio show 'Jazz op 4' 23:00-24:00 h - - - - Paul Harvey speaks to Michael Brecker-this is my transcription of the Zappa part: PH: I remember now you were going from Steps to another great character, an other great icon in music: Frank Zappa. You did the Live In New York with him, that must have been fun!? MB: You have a good memory. 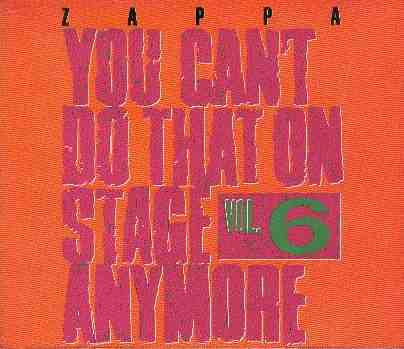 We did Live In New York with Frank Zappa... that was an experience that I will never forget. It was certainly bizarre - he had a great sense of humor ON stage and he was a serious testmaster OFF stage. The music was really really difficult uh to play... in any way that made sense uh but I had tremendous respect for his ... you know ... his creativity in what he attempted to do. PH: A great band as well MB: Oh, the band was unbelievable; that was with that Terry Bozzio uh Ruth Underwood uh what was that bassplayers name uh a fantastic bassplayer... anyway he wrote a tune called The Black Page which was basically written to ??? (chuckles)... to me it was totally unplayable. I can only play one note every few measures.. it was...you know...all in groups of 11 and 13 and uh I just couldn't play it at all. Uh but uh Frank liked to play with jazz musicians cause I think it was something he didn't...that wasn't in his roots ... a sort of his guitar approach was coming from a whole other place. So when he heard jazz or jazz musicians that could swing I think he was fascinated by it and I enjoyed that week a lot! PH: Who was that other ...eh..Ronnie Cuber? MB: Ronnie was in the band ...Lou Marini. Lou Marini could actually play the back plage uh the (mumbling) Black Page, he could actually play every note of it and of course the guys in the rhythm section could play it. They had months to work on'm. PH: Those recordings were at the Palladium in NY? MB: Yes, at the Palladium on Halloween and Frank had called me a few months later to play a piece that he had written for Orchestra and Saxophone that he was going to record in Austria and I couldn't do it for schedule reasons. I don't know if he ever recorded it. 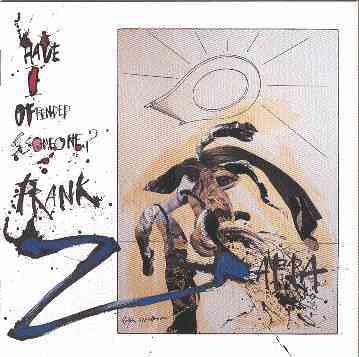 PH: The album was released a bit later on uh and uh Frank did some overdubs. MB: The palladium record? Oh yes that was released a few months later and uh ...I think it had changed a bit ...actually I never heard it...really...I should sit down and listen to it one day! (concludes with Black Napkins from YCDTOSA#6) - - - - Charles Pater: You really should sit down and be amazed Michael! In 2004, Michael Brecker was artist in residence at the North Sea Jazz festival in The Hague, NL. He performed on several occasions, including a concert with Farmers Market on 2004/07/11. 2005/02/02, Dutch national radio 4 did broadcast a recording of this 2004/07/11 concert. The screening involves a blood test only. It can be done very quickly either at a marrow donation center or at a LOCAL LAB. The cost is anywhere from $40 to $75 and your insurance may cover it. (In NYC, you can call Frazier, at the NY Blood Bank, at 212-570-3441, and make an appointment for HLA typing. It costs $40.00.) Check with your local blood bank, or go to http://www.marrow.org to find the donor center nearest you. Your blood typing information can be posted on the international registry, if you choose, where it would also be available to others in need of a transplant. BEING ON THE REGISTRY DOESN'T MEAN YOU HAVE TO DONATE, it just means that you may be ASKED to do so. You can take your name off the registry at any time. Should you be selected as a potential donor for Michael, please understand that there have been tremendous advances in bone marrow transplants and the term itself can be misleading. Bone marrow donation is no more invasive than giving blood. Stem cells are simply harvested from your blood and then transplanted to Michael. A match for Michael would be most likely to come from those of Eastern European Jewish descent. If you or anyone you know are in this category please make a special effort to immediately get tested. Ultimately, you would be doing something not just for Michael, but for so many more who are in a similar situation as my husband. You are now part of our internet-based drive for donor testing. If everyone who receives this can motivate a bunch of their friends to get tested, and those friends then forward this email to get their friends to get tested, we will have rapidly expanded the pool of potential donors. I urge all of you to get tested AS SOON AS POSSIBLE. CBS/AP) NEW YORK Michael Brecker -- a versatile and much-studied jazz saxophonist who won eleven Grammys over a career that spanned more than three decades -- has died. He was 57 years old. His longtime friend and agent says Brecker died today of leukemia in New York. Becker was born in 1949 in Philadelphia and had won the Grammys for his work as a tenor saxophonist. He was inspired to study the tenor saxophone by the work of jazz legend John Coltrane. He and his brothers led a successful jazz-rock fusion group called the Brecker Brothers. Throughout his career, he recorded and performed with numerous jazz and pop music leaders, including Herbie Hancock and Joni Mitchell. 1975 satten, steve- whatcha gonna do for me? 1975 triumphant sax- triumphant sax! 1981 ross, diana- why do fools fall in love? 1982 steps ahead- smokin' in the pit: live!